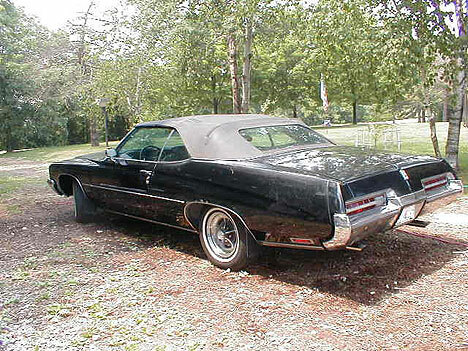 I am the second owner of this vehicle-A 1972 TEXAS BUICK CENTURION CONVERTIBLE BLACK ON BLACK. It had 32K miles when I bought it in 1991 and I have put about 5K miles on this car since. Some of the options are: PS, PB, Power Antenna, Power Top, Power Seats and a powerful Souped up 455CI motor with 450 Horse Power. Of course Dual Exhaust with resonators and Stainless pipes. The top does not leak although I have put on premium duck cloth material on some thin areas. With the top down it features a very, very rare PARADE BOOT, which is in "NEW" condition and is a two piece fiberglass unit. It runs like a Rocket and a top. The only interior flaw is a small 3 inch separation on the front bench seat upholstery. There are 5 Classic Chrome Buick Rally rims with 5 matching tires. The trunk is emaculent as is under the hood. The paint needs little touch up and all cosmetic chrome molding and emblems are accounted and in perfect shape. 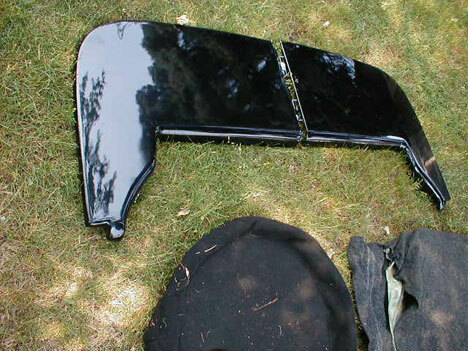 It is a totally complete vehicle, which does not need restoration, only minor work as it is virtually rust free. I will include a picture with this correspondence and eventually build a list of all the extra parts I need to get rid of. 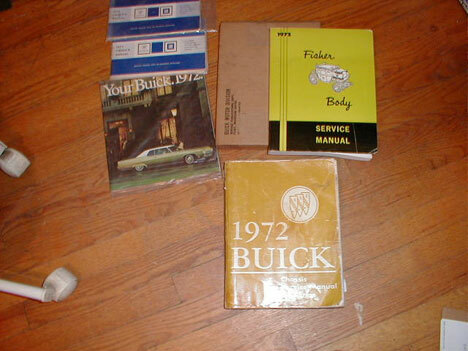 I have "NEW" the 1972 Buick line Showroom Catalog, The Fisher Body Manual, The GM Chassis Service Manual and Two Owners Manuals all Original in The Original Plastic Sleeves!! !